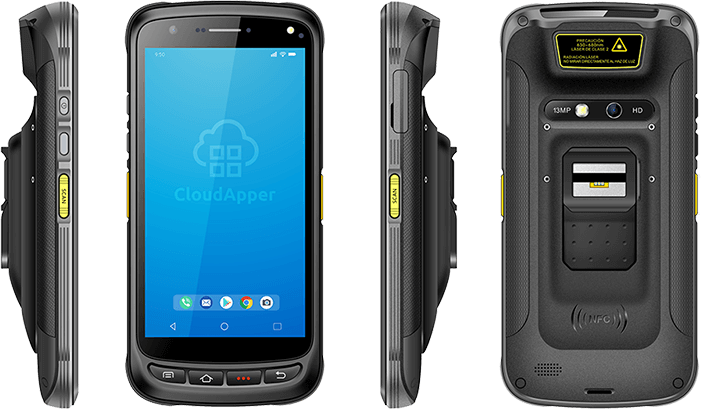 This powerful multimodal handheld biometric authentication unit is a Android computer that can be used with any mobile app that you build with our CloudApper™ platform and integrated CloudABIS™ biometric matching system. 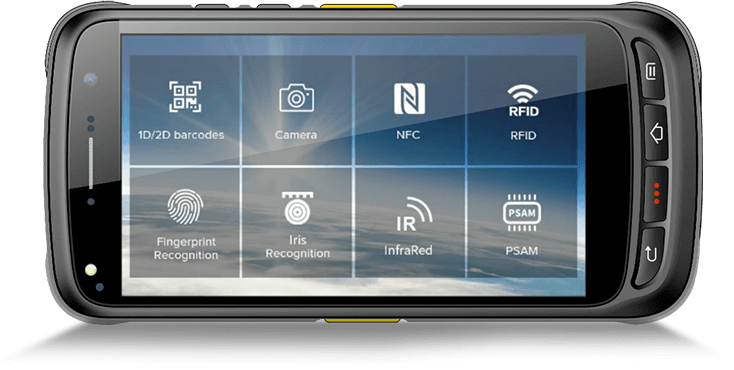 The portable MultiCheck™-C offers the flexibility of easily identifying subjects from any location using their fingerprint, iris, and/or face to display their demographic information and perform other tasks. The device can also be used to enroll demographic and biometric information at remote locations. 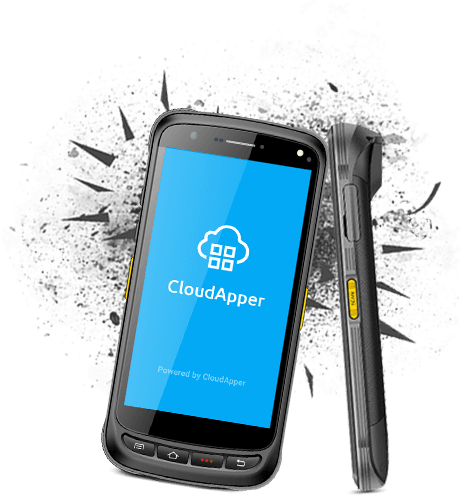 This is a rugged and powerful handheld device built for generating optimum performance during field or mobile use. Powered by Android 6.0 OS, the device features a quad-core processor, 2GB RAM + 16GB ROM, plus a 32GB SD card expansion slot, enabling it to run multiple tasks with a smooth user experience. The device is also weather friendly since its 5.2-inch touch display supports “wet-and-glove” operations. A 5000mAh battery allows a full day’s non-stop use. 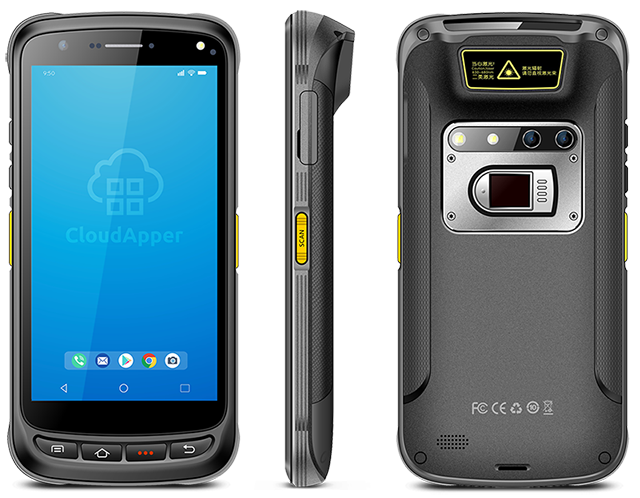 When paired with our CloudApper apps and CloudABIS™ biometric matching system, the MultiCheck™-C can provide the highest level of flexibility and accuracy for your biometric authentication projects. With support for multiple biometric modalities, this hardware is capable of identifying every individual that stands in its way. The fingerprint sensors used in the MultiCheck™-C are immune to any lighting condition and resistant to electrostatic discharges, scratches and drops. Application areas for this biometric device include law enforcement field-level operations, pension management, voter identification or registration, prisoner management, healthcare, and more. Equipped with a 5000mAh long life battery to support a full day of non stop field level activity, this device can be continuously used for about 12 hours, covering maximum daily usage for your activities. 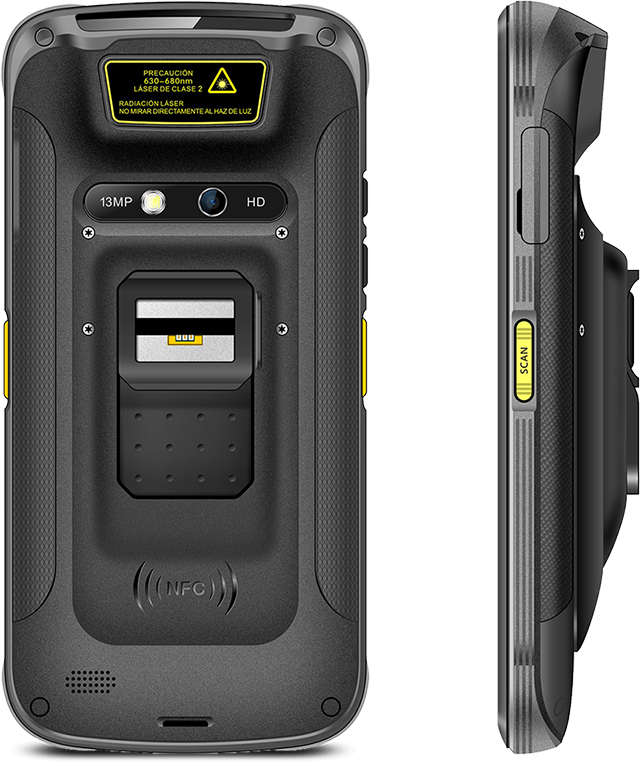 The MultiCheck™-C biometric device is built with a rugged, shockproof, and dustproof design for both industrial and field level use. It can withstand nearly any kind of weather condition in every part of the world. It also comes with fast and stable 4G, WiFi, Bluetooth connectivity to meet your network needs both indoors and outdoors. 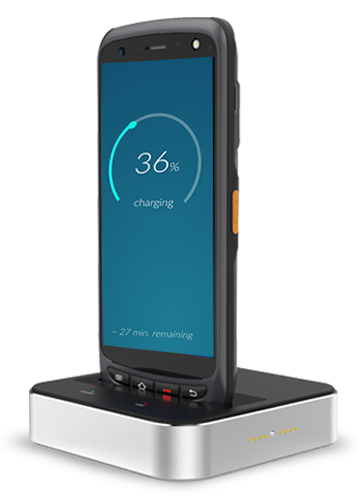 The MultiCheck™-C not only comes with some jaw-dropping specifications like support for multiple biometric modalities, industry-leading performance, and a rugged design, this portable biometric device is also very affordable. Combining advanced hardware specs with our versatile app and biometric software makes the MultiCheck™-C a game-changer for any business, government agency, or other organization. Achieve highest level of identification accuracy by choosing our biometric capture tool & matching system. Our award-winning biometric SDK allows you to instantly add biometric functionality to any software. Create an Android or iOS app & matching cloud application without writing a single line of software code!